Alvin Langdon Coburn was one of a key group of photographers whose work redirected the aesthetics of 19th-century pictorialism towards the realm of 20th-century avant-garde practice. He was introduced to photography by his distant cousin, the prominent pictorialist Fred Holland Day, in 1898. Within the next five years he had become a central figure in the circles of artistic photography, and was invited to join both the Photo-Secessionists in New York and The Linked Ring Brotherhood in London – groups which included the most artistically progressive photographers of international pictorialism. 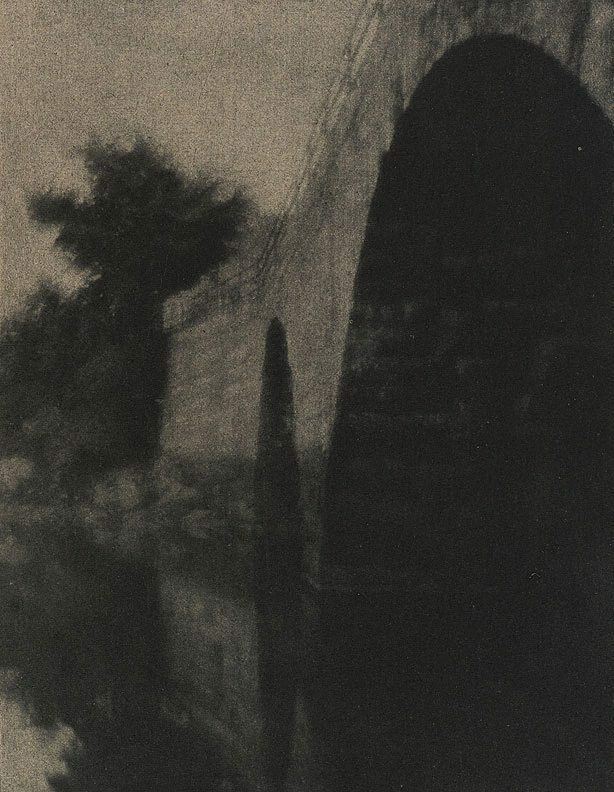 ‘The bridge, Ipswich’ was included as a photogravure reproduction in Stieglitz’s illustrious journal ‘Camera Work’ in 1904, signalling the influence of its Japanese-inspired post-impressionist style in the emerging trends of American pictorialism. Denise Mimmocchi, Photography: Art Gallery of New South Wales Collection , 'International pictorialism', pg.53-69, Sydney, 2007, 57, 66 (illus.). Alfred Stieglitz (Editor), Camera Work, no 6 , New York, Apr 1904, (illus.). A new history of photography , Köln, 1998, 322 (illus. ).